There are several reasons you may have a leaking roof. While some are quite obvious, others can be harder to spot. We have put together this list of seven common indications that indicate you have a roof leak. This is the most noticeable sign that your roof may be leaking. Do not assume the cause or the source of this problem and try to deal with it yourself. Any type of leak is an issue that is worth calling an expert for their assistance. The presence of water spots under the roof line outdoors is an indication of trouble. The spot looks like a large puddle on the roof and is usually in black or brown in colour. This is caused as the water moves through your roof. You can find these spots near chimneys and vents as well. Water may also travel down the rafters and cause stains farther from the original source. If you see discolouration on any portion of the ceiling or wall, it is advisable to get it checked by a professional. Sometimes, you may hear sounds similar to water dripping in your attic. This is a sign of a leaking roof and must not be ignored, even if you can’t find the source. Contact a professional immediately to get to the bottom of the problem. This is unhealthy and spells troubles for your home. It damages the structural integrity of your roof, and the decking gets affected and can give way, allowing water inside your house. You must address it quickly, or you may end up with costly roof repairs or even require a replacement. This typically occurs when the climate is warm and humid. It is caused primarily due to airborne algae or fungi that gets deposited on the roof. Though it may not affect the entire roofing system, it is an indication of potential water leaks. You may find buckling shingles, which are caused either by inadequately applied felt or due to a movement in the roof deck. 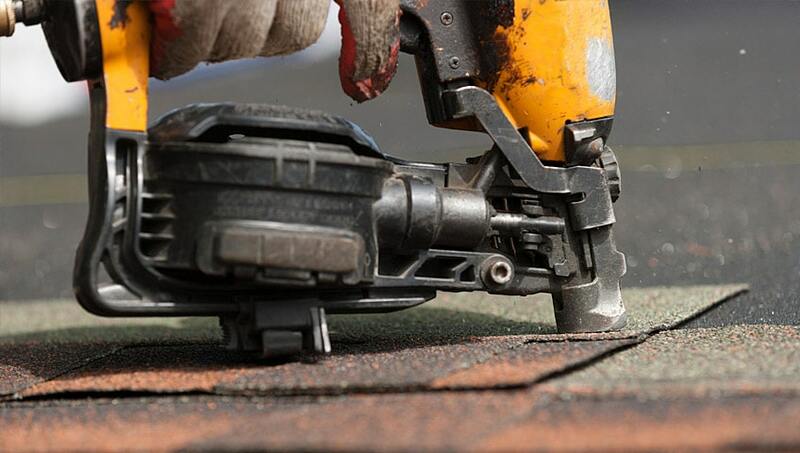 Curling shingles are the result of water absorption or the presence of hot air in the attic. To avoid any major leaks, you must address this issue immediately. This is often caused by improper installation of the roof, or when it begins to get dry. You need to hire an experienced roofer to examine if the issue can be solved by resealing your flashing or whether the problem is bigger than it appears. It is crucial to understand the rule with roof leaks: if you see moisture, you must investigate, even if it seems to go away. The problem may persist even when it is not visually apparent. At Integrity Roofers, we provide various roofing services and strive to solve your problem promptly. If you are looking for an experienced professional to take care of roof leaks in Toronto, you may reach out to our experts by calling 647-953-9365 for assistance. You could also contact us for a free estimate.